This week we had everything planned. 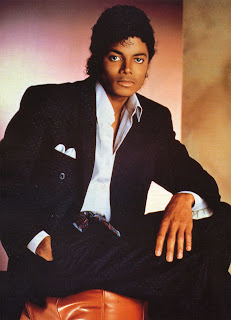 We were going to focus on the Payolas but as reports of Michael Jackson's passing arose on Thursday afternoon... we knew we had to rise to the occasion. What does that exactly mean? Well, when the biggest musical icon of a decade passes away and you do a show about that decade... you drop what you are doing and get current. The negative aspect of this was that our prep time was nil and had to fly by the seat of our proverbial pants. We featured a massive retrospective mix, live version of "Billie Jean" and his first U.K. #1 single "One Day In Your Life." This was possibly our highest attendance ever in the chat room. I think that I can understand why. Michael left some big tracks across our cultural landscape. It is also hard to separate the personal from the musical. Feel like sharing your thoughts on the singer's musical legacy? You can join and open a discussion at our Talking 80s Music group at Facebook. Otherwise, yes, it was a really long show (we originally were in the room for 2 hours and 30-something minutes) -- meaning lots of editing. Finished right before midnight. Pushed back our changes to our sound effects/music software for the live show to this next week. Then again, we heard some good things about the sound after changing the levels during the song. We'll see.